WASHINGTON (PNN) - December 28, 2017 - As Amerikan Gestapo Transportation Security Administration division agents continue to prove their incompetence in the “War on Terror,” the Amerikan Gestapo Department of Homeland Security division is now allocating $1 billion in taxpayer funding to create a facial recognition program that will illegally scan Amerikans’ faces. MOSCOW, Russia (PNN) - December 22, 2017 - Your digital security, any sufficiently paranoid person will remind you, is only as good as your physical security. The world's most sensitive users of technology, like dissidents, activists, or journalists in repressive regimes, have to fear not just hacking and online surveillance, but the reality that terrorist pig thug cops, intelligence agents, or other intruders can simply break into your home, office, or hotel room. They can tamper with your computers, steal them, or bodily detain you until you cough up passwords or other secrets. NEW YORK (PNN) - December 21, 2017 - Scientists at the Advanced Science Research Center (ASRC) at the Graduate Center, CUNY, worked to theorize and test how two layers of graphene - each one-atom thick - could be made to transform into a diamond-like material upon impact at room temperature. The team also found the moment of conversion resulted in a sudden reduction of electric current, suggesting diamene could have interesting electronic and spintronic properties. The new findings will likely have applications in developing wear-resistant protective coatings and ultra-light bulletproof films. SHANGHAI, China (PNN) - December 12, 2017 - Yitu Technology has made an AI algorithm that can connect to millions of surveillance cameras and instantly recognize people. The company - based in Shanghai, China - developed Dragonfly Eye to scan through millions of photographs that have been logged in the country’s national database. VIENNA, Austria (PNN) - December 9, 2017 - Asgardia, the little space nation that could, placed a tiny satellite into low Earth orbit on Thursday. This makes it the first independent “nation” to have 100% of its territory in outer space. The Space Kingdom of Asgardia isn’t technically a nation yet - it’s a non-profit non-governmental organization based out of Vienna, Austria, and bankrolled by Russian billionaire Igor Ashurbeyli. But if you’re trying to start a whole space nation from scratch, you have to start somewhere. What if we got rid of all the road signs? Towns all over Europe are experimenting with eliminating road signs in order to encourage driver’s to think about road conditions. 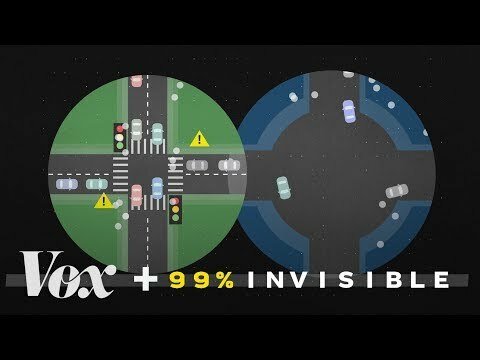 The experiment has shown that eliminating road signs actually makes the streets safer. MOSCOW, Russia (PNN) - November 28, 2017 - The Russian government will build an “independent Internet” for use by itself, Brazil, India, China, and South Africa - the BRICS nations - “in the event of global Internet malfunctions,” the Russian news site RT reported on Tuesday. More precisely, Moscow intends to create an alternative to the global Domain Name System, or DNS, the directory that helps the browser on your computer or smart phone connect to the website server or other computer that you’re trying to reach. The Russians cited national security concerns as their reason for taking this step. Two-factor authentication can make your online accounts practically impossible to hack. November 24, 2017 - Having a strong, unique password might not be enough if hackers trick you into giving it away or steal it from your email provider or bank. That’s why for your most sensitive accounts - think your email or banking accounts - you should set up two-factor authentication (2FA). This simply means adding a second step to log into your accounts. First, the password. Second: either a code sent to your cell phone via text message, or created by a special app on your phone. Even better, the second step can be inserting a physical token such as a security key. 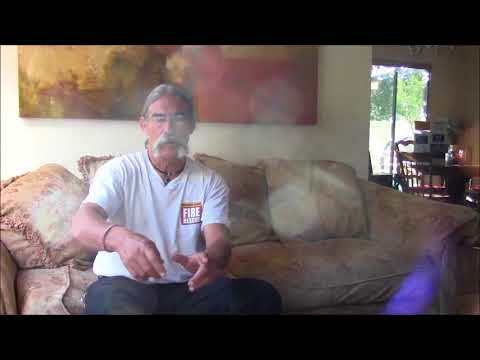 Highly decorated Fire Captain John Lord speaks out about the possible directed energy weapons used to start over 16 major fires that began in the middle of the night in Napa, Sonoma, and Mendocino Counties. To date, some three weeks after the fires, officials have not gone on record as to the origins of these fires. CHINCOTEAGUE, Virginia (PNN) - November 20, 2017 - Space nation Asgardia has launched its first satellite a year after Russian billionaire Dr, Igor Ashurbeyli proposed the plans. More than 500,000 people applied to become citizens of Asgardia, the first space nation that will orbit the Earth and be free from politics and laws.